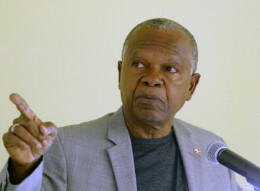 Former Minister of the Environment, Earl Deveaux was the featured speaker at the Ministry of Works Distinguished Series. The event was held, Thursday, February 28. Mr. Deveaux addressed the topic, The Bahamian Environment: Planning, Development and Preservation.